Leaving Cadillac for Clare at 0945. Returned to Cadillac at 1535. Moved to North Yard and switched afterwards. Heard them northbound out of Cadillac at 0910. Most likely Petoskey way. But didn't see them. AANscaleRunner wrote: Heard them northbound out of Cadillac at 0910. Most likely Petoskey way. But didn't see them. Probably because no cars for TC in the north yard. There was/is a Beacon car in Cadillac waiting to go north (came up last Wed), another loaded at Beacon (plus switching to be done there of the TSBY hoppers), and an empty center beam at Amerhart, so I would not rule out a TC trip soon. Heard them back on the north end of Cadillac at 1530. 396 and 329 left Cadillac for Clare at 1100 with 51 cars. A couple of MOW units southbound through Alma at 14:45. Returned to Cadillac at 1810. AANscaleRunner wrote: Returned to Cadillac at 1810. FYI GLC must have been in TC yesterday- fresh flange marks and a missing center beam. I see another load for Traverse City in that train. Here are some photos of all the equipment at TC Beacon last week. Nice pics! GLC 329 and 396 are at Beacon in TC doing lots of switching. Thanks for the Beacon photos NS3322. I heard them about 12 noon today in TC again. No chance to see what they brought up here. Pixl wrote: Thanks for the Beacon photos NS3322. Correction, just 329 without 396 came to Traverse City today. Both came up on Wednesday. Will the old Ann Arbor boxcars and one old DTSL boxcar in Cadillac suffer the same fate as TSBY #1994? 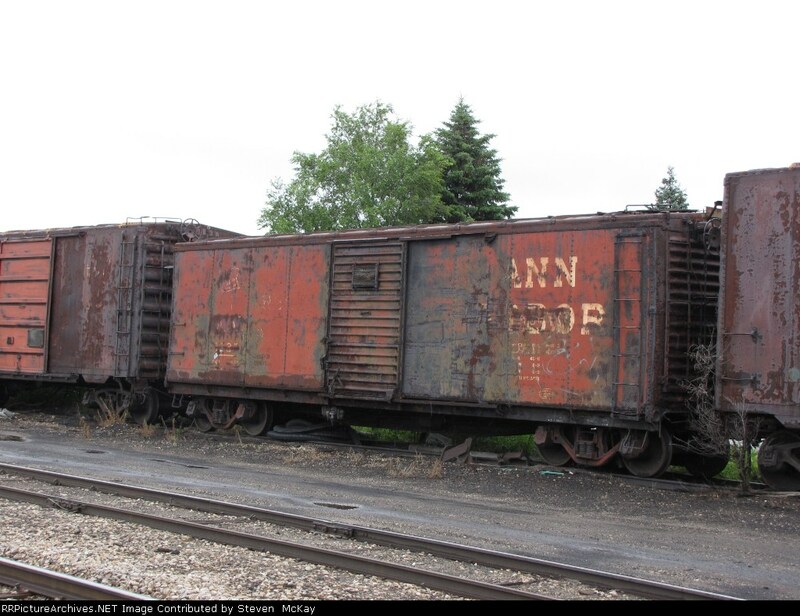 NS3322 wrote: Will the old Ann Arbor boxcars and one old DTSL boxcar in Cadillac suffer the same fate as TSBY #1994? Maybe GLC is storing stuff in them, therefore still in use.